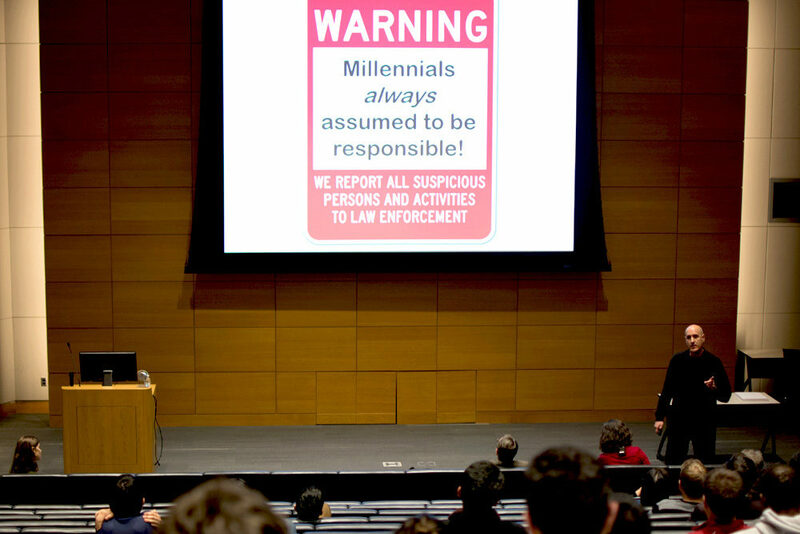 In this year’s Iron Prof research showcase, five Wharton professors fired up their presentation skills in a battle for the audience vote. 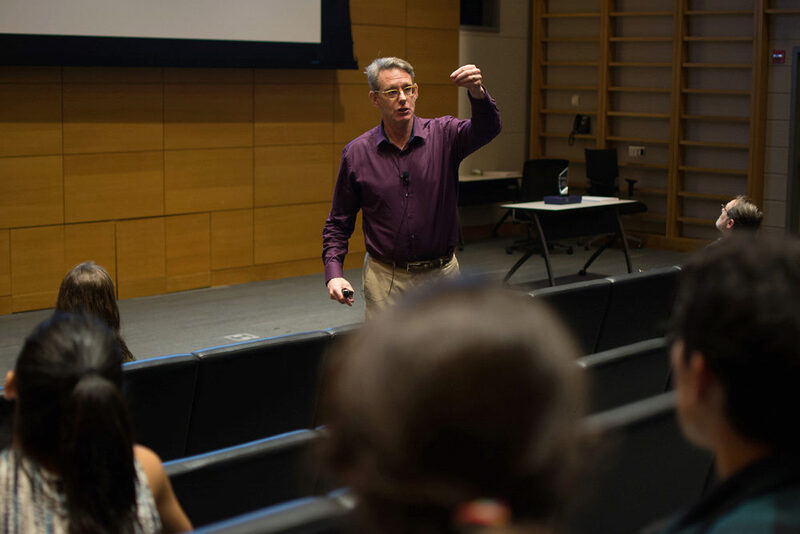 Iron Prof — the high-energy, interdepartmental Iron Chef for Wharton professors — returned this year with a formidable roster of contenders. The competition is hosted annually by the Wharton Graduate Association to showcase the broad range of faculty research at Wharton. Participating professors get six minutes to present their slides and are allowed a brief Q&A before students and faculty vote for their favorite speaker of the night. This year, the most votes went to Marketing Prof. Peter Fader for his engaging presentation on customer-based corporate valuation. From the “greatest mysteries of the universe” to Harry Potter, here are some event highlights. Does how you pay for college affect how hard you work? The first on stage, Prof. Peter Cappelli opened with his findings on the relationship between financial aid and academic performance. His hypothesis was built on mental accounting: the idea that people are more likely attend a concert on a rainy day if they paid for a ticket than if a ticket was given to them. The concept applies to work study, loans and grants, which may each have different positive or negative effects on a student’s work ethic. 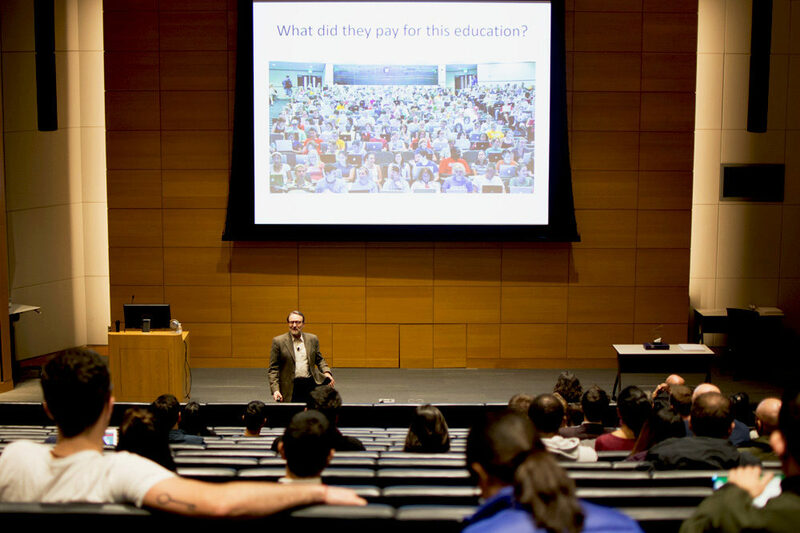 His research uncovered that students who take out loans actually do worse in school. 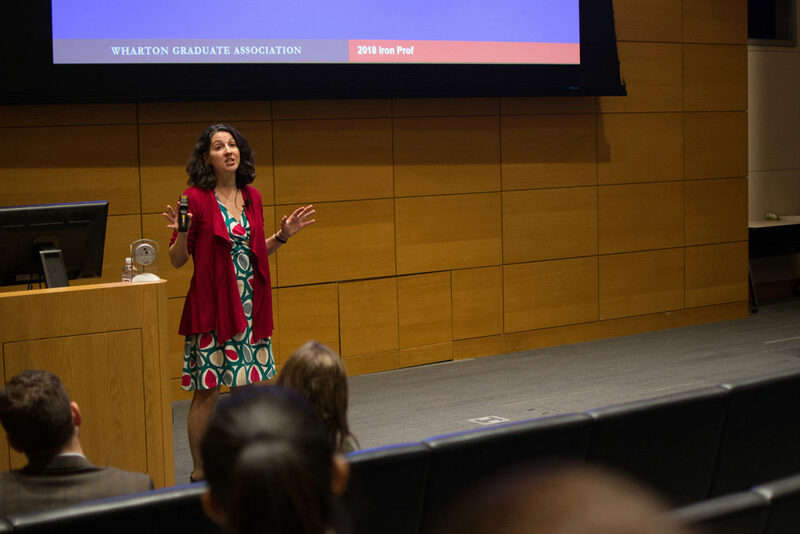 Prof. Barbara Kahn shared findings from her upcoming book, The Shopping Revolution, citing Amazon as a leading innovator in successful retail strategy. She created the Kahn Retailing Success Matrix based on two principles of marketing, customer value and differential advantage, to be a new thought guide for measuring competition against Amazon. She believes top retailers must make their customers happy as well as do it better than their competition. A key to win, she said, is to “increase pleasure and take away pain” for the customers. 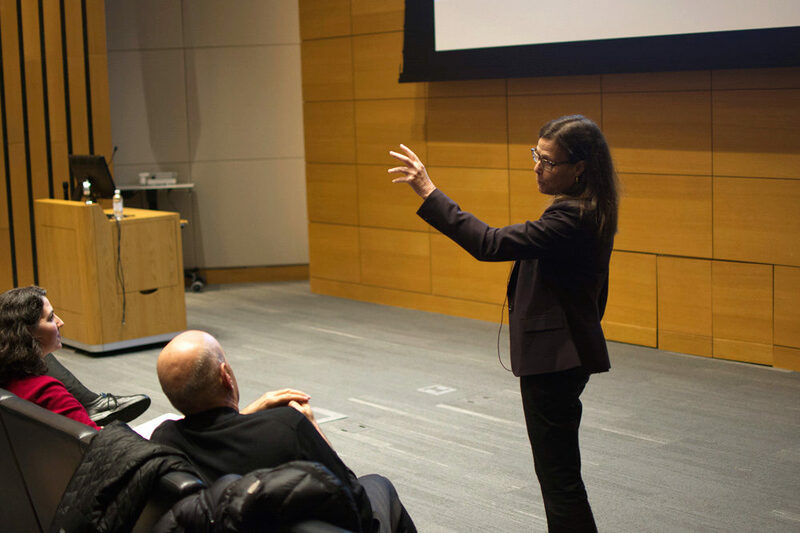 With a wave of her wand, Prof. Sarah Light launched into an introduction of “Regulatory Horcruxes,” her unique approach to expanding the understanding of environmental law. In Harry Potter, Lord Voldemort uses magical objects called horcruxes to split his soul into pieces and attain immortality. “The general principle is the idea of fragmentation as insulation,” Professor Light explained. She highlighted a parallel between horcruxes and the way agencies outside the U.S. Environmental Protection Agency are structured: they both divide bigger bodies into smaller, regulatory units.